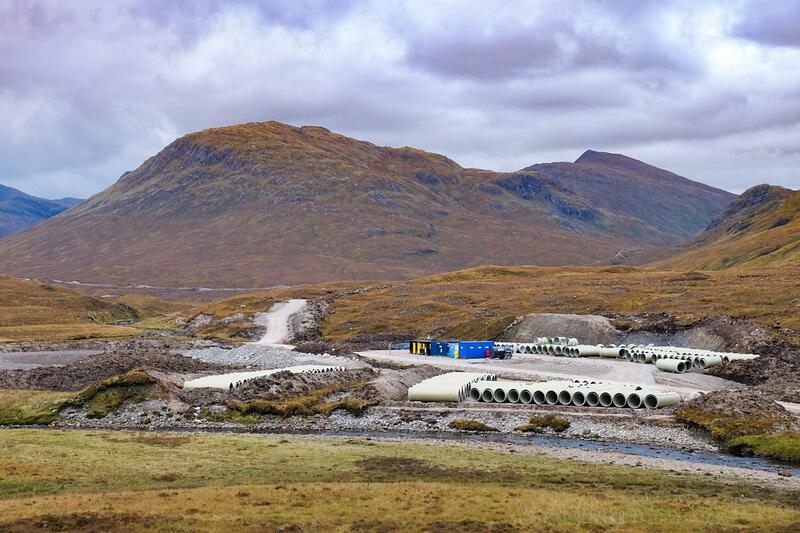 Controversy over renewable energy projects has raged in the outdoors world for many years, from concerns over the siting of wind farms and protection of wild land to the more recent landscape damage from hydro schemes in some of our most stunning landscapes. Helen caught up with Claire Mack, the Chief Executive of Scottish Renewables, the trade body for renewable energy in Scotland, to get the industry view. 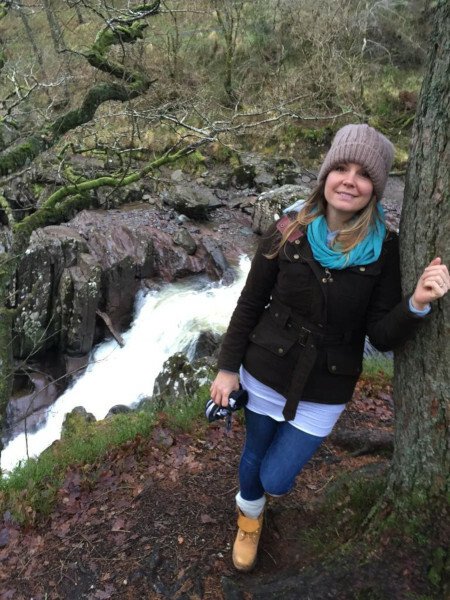 We understand that you’re a user of Walkhighlands, so I presume you enjoy walking in Scotland’s outdoors yourself. What does getting out in the Scottish landscape mean to you and do you have any favourite places? I work in Glasgow city centre, so at the weekend – weather permitting! – my family and I take every opportunity to explore the great outdoors. I love walking routes that lead to waterfalls and the Deil’s Cauldron near Comrie is one of my favourites. It’s relatively near to my home so I walk that route all the time and enjoy the different views the changing seasons offer. My husband recently bought a campervan, so we’re hoping to get off the beaten track more frequently to explore more of Scotland’s nooks and crannies. The Scottish Government has a target for renewable sources to generate the equivalent of 100 per cent of Scotland’s gross annual electricity consumption by 2020. How important is the renewables industry in combatting climate change? I want to keep Scotland beautiful, and a huge part of that is battling climate change so that rising temperatures don’t destroy the unique ecosystems which make Scotland’s environment so special. It’s a commonly-held belief that climate change is a long-term issue which won’t affect Scotland. That’s wrong, and we’re already seeing those effects: reports that once-permanent snow patches on Braeriach in the Cairngorms have disappeared in summer for the second year running are just a symptom. The reality is that Scotland’s winters are just under one degree warmer than they were in the 1960s. Over the same timeframe Scotland’s average annual precipitation has risen by 27%. All these changes – caused by climate change – are affecting the landscapes we love and the animals that live there. At the end of last year, the RSPB told how the Scottish crossbill – the only British bird species that is found nowhere else in the world – is at risk of extinction because the climate is now unsuitable. Numbers have also declined among dotterel, whimbrel, common scoter and snow bunting populations. The renewable energy industry is hugely important in our battle against climate change. A report from the UN’s Intergovernmental Panel on Climate Change this month (Oct 8) told how we’re on track to overshoot the limits set on climate warming under the Paris Agreement. We must, it said, invest $2.4 trillion in clean energy every year through to 2035 and cut the use of coal-fired power to almost nothing by 2050 to avoid catastrophic planetary damage. This is why we at Scottish Renewables, both as an industry body and through our 260 member organisations, do what we do. It was announced in June that Scotland’s power sector has seen a reduction in CO2 emissions of 68.5% since 1990. Phasing out fossil fuels in favour of clean, green alternatives is obviously having the desired effect. Scotland has some of the best renewable energy resource in Europe – the strongest winds, most powerful tides and a mature hydropower sector which harnesses the energy in our plentiful rainfall. Many walkers say they enjoy exploring areas which feel ‘wild’ and free of obvious human development. Such areas are relatively scarce elsewhere in the UK but found in parts of the Highlands and Islands, helping to draw many tourists to our region; tourism is a mainstay of the local economy. Significant protection for such areas (as identified on SNH’s Wild Land map) was included in the National Planning Policy in 2014. In the consultation ahead of this, Scottish Renewables argued against the need for protection for Wild Land Areas. 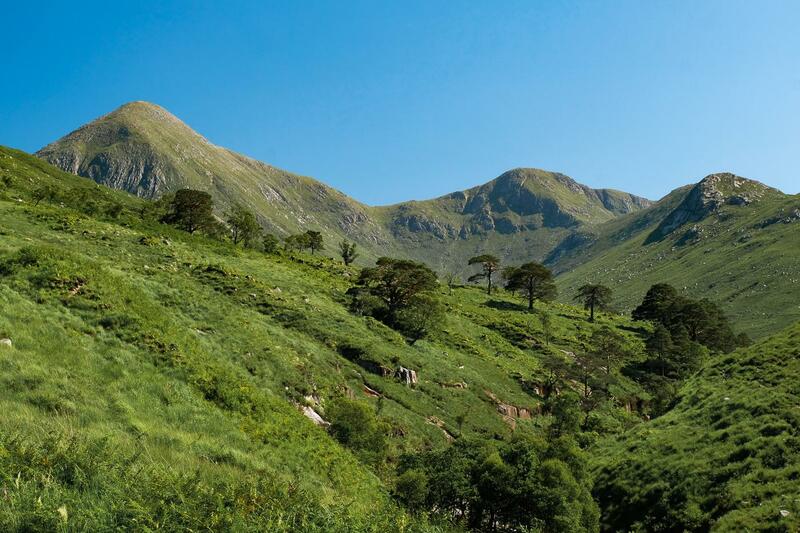 Do you feel that Scotland’s remaining areas of wild land are worth protecting from development? If so, how do you think this should be done? One of the challenges all industries try to manage, alongside government and its advisory agencies like Scottish Natural Heritage, Historic Environment Scotland and SEPA, is ensuring that developments of all kinds are taken forward in a sustainable way, benefitting Scotland and local areas, in adherence to planning regulations and guidelines. More than 20% of Scotland – our National Parks and National Scenic Areas – is already off limits to wind farm developments, with the full support of the renewables industry. Outwith these large areas are other areas identified by SNH as ‘wild land’, which have significant protection in planning policy. Any proposed developments in these areas are required to meet strict regulations if they are to gain approval in the planning process, to ensure that only good, sustainable projects get built. The Allt Mheuran in Glen Etive – site of a proposed hydro development in what is both a Wild Land area and a National Scenic Area. 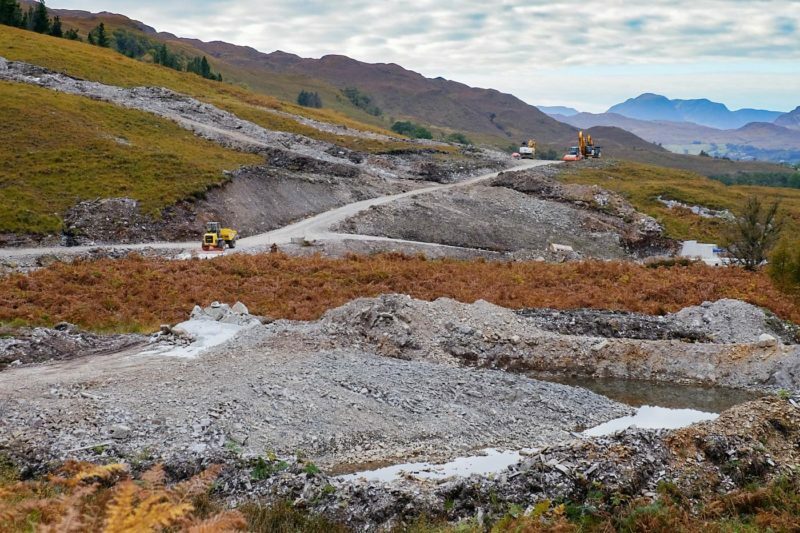 If planning policy was changed to give absolute protection to Wild Land Areas – as advocated by the John Muir Trust and Mountaineering Scotland – would this not give greater clarity to everyone, including renewable energy developers? The current Scottish planning process is rigorous, robust and testing. Creating new blanket bans on all development in areas outwith those with national designations would sterilise huge swathes of Scotland’s land suitable for renewables and other forms of sustainable development, hampering our action on climate change and blocking the many other benefits these developments bring. We believe proposals should continue to be judged on their own merits, taking into account all the environmental and socio-economic factors arising from each project both locally and nationally. These developments bring year-round jobs and investment which, while most notable in remote rural areas, are present across Scotland. These economic effects – renewable energy in Scotland employs 16,000 people and had a turnover of £5.5 billion in 2016 – complement Scotland’s other strengths, too. Community benefit schemes have seen new village halls built and local clubs funded, but are sometimes likened to bribes to get local support and energy users have to pay for these benefits through increased bills. How do you respond to these claims? Renewables’ contribution to Scotland’s economy runs deeper than jobs and investment. Green energy’s popularity – 82% of people said they support the use of renewable energy in a UK Government survey in June – means local communities are often keen to get involved in projects, with larger developments providing community benefit payments to enable local groups to undertake a number of projects including local broadband schemes. That’s just one example of community benefit in action, and there are many others from the past 24 months alone: defibrillators for remote communities near Fort Augustus, an employability skills programme for excluded school pupils in South Lanarkshire, £50,000 to increase the service hours of the Scottish Air Ambulance – the list goes on. Community benefit payments are part of a voluntary partnership between developers and communities which promotes a positive relationship between them rather than a material consideration for planning authorities. When renewables infrastructure reach their end of life who is responsible for ensuring unwanted or obsolete infrastructure is responsibly removed and recycled? With existing wind farms now beginning to approach the end of their 25-year lives, the industry – and Scotland – is faced with an opportunity and Scotland is leading the way in this. The circular economy – where everything has value and nothing is wasted – is already in action in Scotland’s low-carbon sector. Scottish Renewables member Renewable Parts opened its turbine parts refurbishment facility in Argyll in early October, with plans to revitalise components which would otherwise have been scrapped. Recent research has successfully demonstrated the reprocessing of wind turbine blades back into raw materials for reuse. Whatever happens to wind farms at the end of their lives – whether sites are returned to pre-development state using dedicated funds set aside by developers as part of their original planning consent, or more powerful turbines are installed as part of a redevelopment – local businesses will again benefit. That’s all part of renewable energy’s appeal – the provision of long-term investment and jobs throughout the life of a project, not just at its start. In recent years we have heard increasing complaints that developers are not complying with mitigation measures originally agreed with planners, for example restoring tracks back to their former state after completion of developments, removing temporary infrastructure and rubbish. Does Scottish Renewables have a role in preventing such issues or dealing with disputes? How can good practice be ensured or encouraged? While Scottish Renewables doesn’t have any statutory powers through the planning process, we want renewables to be seen as an exemplar for land use. We’ve worked over several years with Scottish Natural Heritage, SEPA, Historic Environment Scotland and others to develop and refresh a guide to good practice during wind farm construction. Our Planning Network of members also meets regularly to address the challenges and responsibilities faced by a proudly responsible industry. The subsidy regimes for renewable energy are constantly changing, with feed in tariffs ending next March for new applicants. 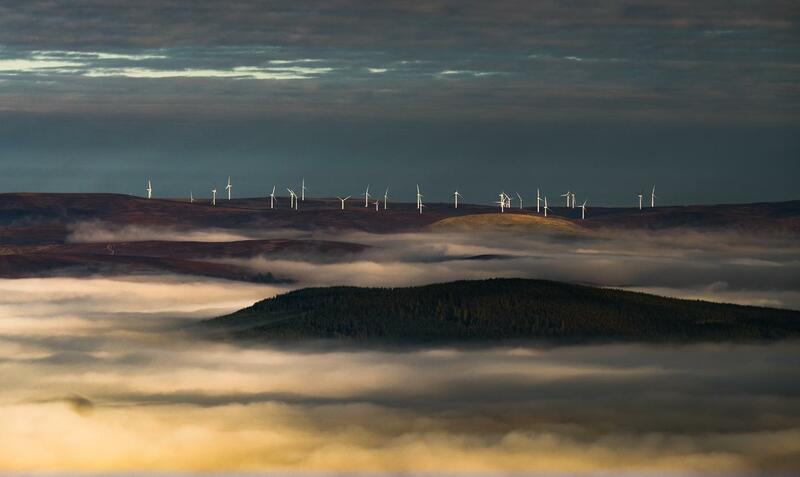 How do you see Scotland’s renewable energy industry developing in the future – and how will it affect the landscape? Those changes – which have taken place against a backdrop of increasing public support for green energy and of government backing for both fracking and new nuclear power – are having a lasting effect both on jobs and investment. With mature renewables like onshore wind and solar already cheaper than any other form of new electricity generation, a failure to invest at a time when old, polluting fossil fuel power stations are closing is simply wrong headed. It’s almost impossible to predict what the energy system of the future will look like. But one thing’s for certain – despite the IPCC’s warnings, we owe it to our children to do much, much more to tackle climate change now. Our failure to do so to date is already having tangible effects. Delaying further could mean that the Scotland of the future is as alien to us as the smogs of the industrial revolution.